How Are You Keeping Cool? Back from Spain with Goodies f..
July 8th, this blog is having its first birthday! To mark the occasion I will, of course, be having a party. More cocktail/hors d’oeuvres than dinner party style, as I am hoping to have a large cast of delightful characters in attendance. I have been brainstorming quick, easy cocktail recipes over the weekend. Fortunately, I picked up a copy of Cocktail Parties, Straight Up! Easy Hors D’oeuvres, Delicious Drinks, and Inspired Ideas for Entertaining with Style while I was traveling. It is packed with hors d’oeuvres recipes that combine ingredients in ways that I hadn’t ever thought of before. My current favorite: zucchini bites that are more like a savory bar cookie. Breaded slices of zucchini are layered in a casserole pan and flattened so they stick together, then baked. You cut them into little bites, and voila! Tapa hopping in Spain yielded some great bite-sized ideas. Prosciutto-wrapped brie with jam is an especially easy combination, so I will definitely be making that one. I have been obsessed with brie and jam ever since the long defunct French place Casablanca in my college town of Northampton, MA. Perhaps I was trying to pretend I was in Paris, but a latte and a baguette with brie and jam was the best study aide I have found. Potato-wrapped mini chorizos are another exceptional goodie I discovered on this trip to Spain. However, I am not sure where to find high quality chorizo since I moved to California and I didn’t get a change to talk to the hilariously chatty French sausage guy at the farmer’s market this Saturday. I was too overwhelmed with fresh produce. Farmer’s markets in California are such a treat. I have never lived anywhere else with such amazing and readily available fresh, ripe avocados and stone fruit. After traveling for the last month and a half, the Saturday Palo Alto Farmers’ Market was full of so much inspiration. Cherry tomatoes are a California treat that I didn’t realize I missed. My mom used to grow three or four varieties in our backyard and I couldn’t resist picking them up this weekend. When I also found *huge* bunches of gorgeous basil leaves, an interesting appetizer came to mind. Here is what I am thinking: halve the cherry tomatoes, scoop out the insides, fill with a dollop of goat cheese, and wrap in a basil leaf. 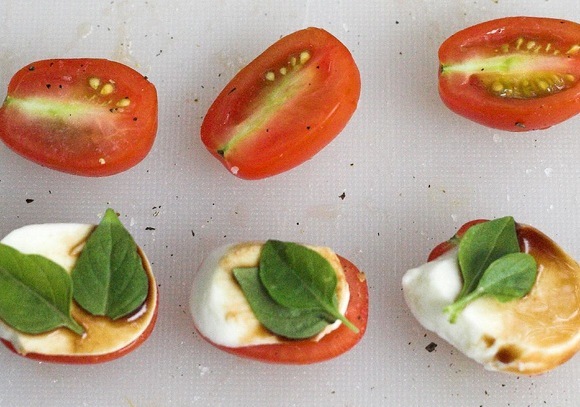 It’s like a caprese salad on a toothpick. 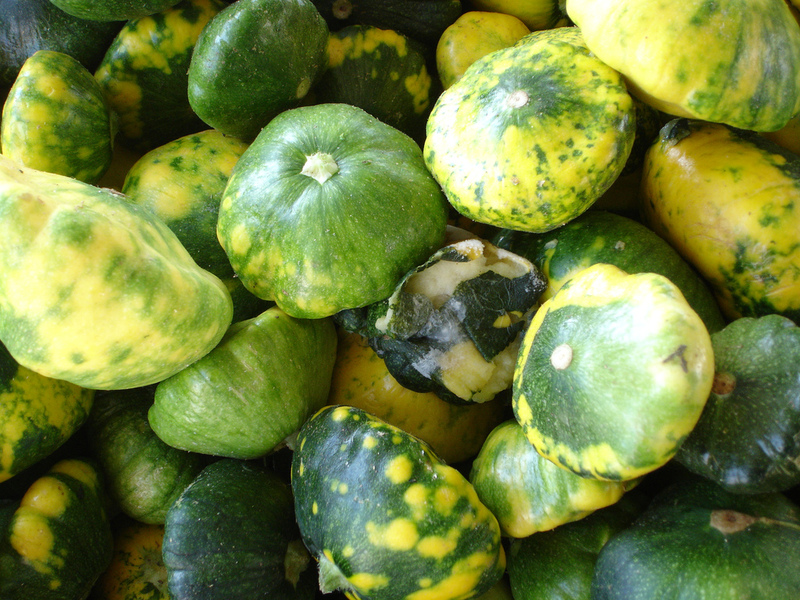 Summer squash were another fun find at the market. I love all the different shapes and colors! Even though I am not a huge fan of crudites, I am on a quest to acquaint people with wonders of homemade mayonnaise and I think zucchini and squash batons are just the way to do it. My parties are usually light on the dessert because I personally prefer cooking savory food. I’m sorry, it is more healthy. So, shoot me. Maybe it’s because it’s summer and it feels like you should treat yourself, or maybe there are just too many berries are begging to be turned into desserts, but I have been eying some recipes for sweet treats. Mini Custards: Unfortunately rhubarb is no longer in season, but this custard recipe is to die for – and super simple! I am trying to round up enough mini ramekins to make a decent number of servings. Jar Pies: They look like a lot of work. But in the most wonderful, adorable way possible. We have tons of cherries from the farmer’s market this weekend, but I have always been a little afraid of pie crust. 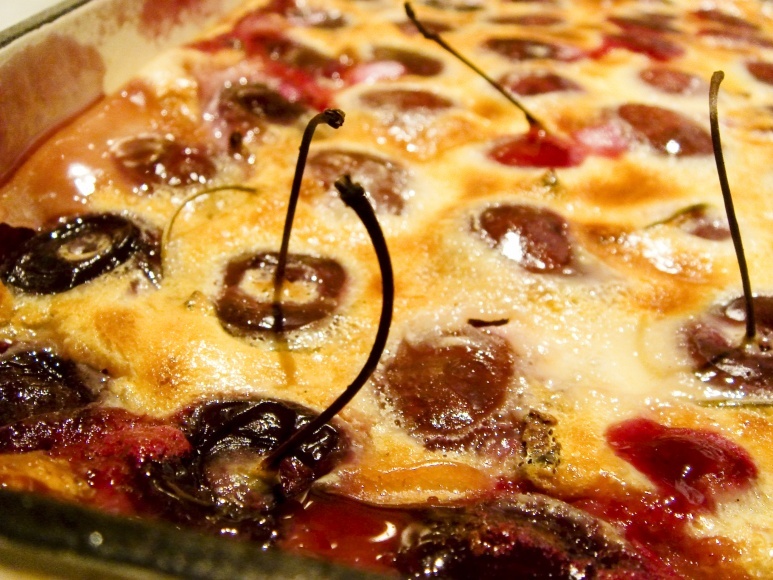 Cherry Clafouti: Or plum… or peach… the possibilities are endless. I have heard so much about this easy french dessert, and now that beautiful fruit is so bountifully in season, I think it is time to try it out. That’s All for Now . . .
Whew… that’s a lot! But the list will no doubt change, narrow, and refine as the week goes on and the party gets closer. Please share if you have a recipe I should try!